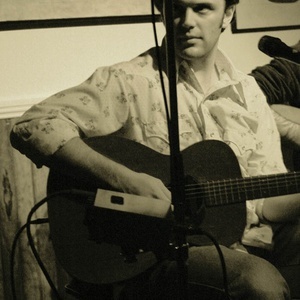 Mark Erelli (born 1975) is an American folk singer/songwriter from Reading, Massachusetts now living in Portland, Maine. His album, Hope & Other Casualties, is a collection of folk and Americana songs with stylistic arrangements, including "The Only Way", written in response to the September 11, 2001 attack and covered by Ellis Paul and Vance Gilbert. On "Compass & Companion", Mark partnered with Kelly Willis for the title song. On "Compass & Companion", Mark partnered with Kelly Willis for the title song. He regularly tours in support of Kris Delmhorst, Lori McKenna and Catie Curtis, playing acoustic and electric guitar. Mark has worked with producer Lorne Entress exclusively and co-produced "Hillbilly Pilgrim" and "Hope & Other Casualties'.